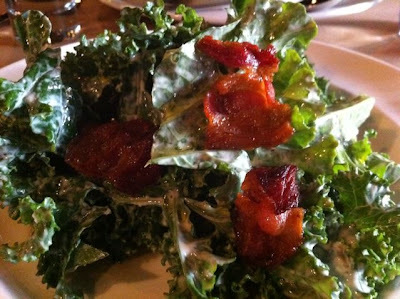 Mott and I met at The Breslin for lunch. It wasn't too crowded. We saw Bobby Flay, who looked skinnier in person than on TV. 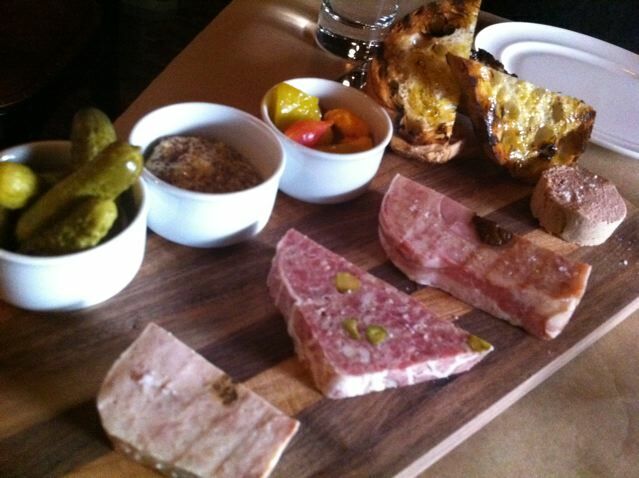 We shared the terrine board--guinea hen, pork, rabbit and liverwurst-- a lot of different animals on one plate. 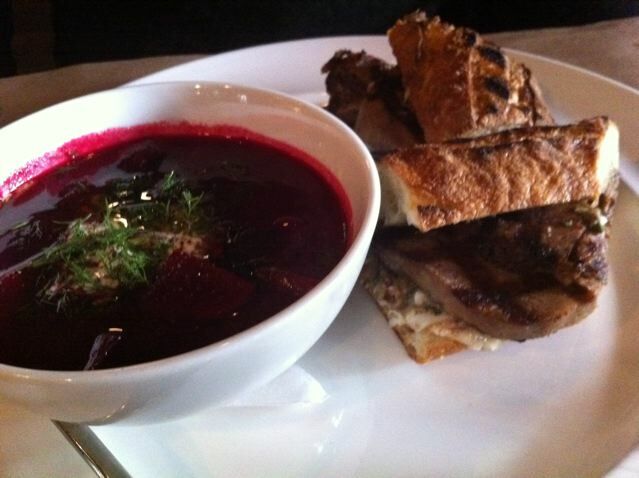 Borscht and grilled tongue sandwich--it really looks like a tongue in this picture. On a side note: This is a great time of year in New York. It's starting to get cold, the leaves are falling, it's windy. At night people are making fires so you can smell wood burning. I rode my bike a lot today and now I smell like outside, I don't know how else to describe it but I love it.